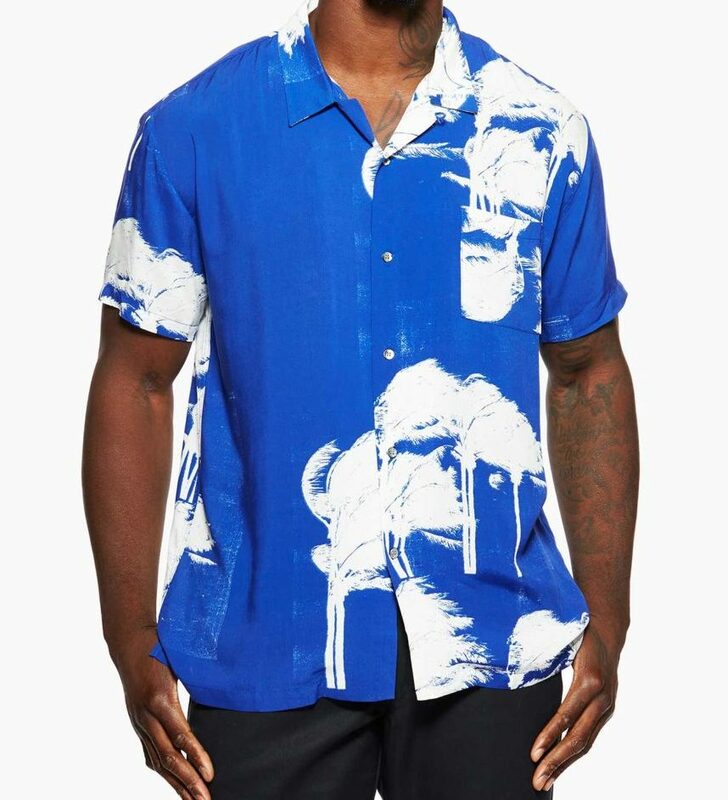 The Hawaiian shirt has the ability to add pizzazz to your khakis, become a memorable accomplice to your print socks, or brighten even the worst of gloomy days. The right one will go with practically anything, successfully hide neglect from the gym, and can be worn during the opening of Fall just as successfully as the tail end of Spring. 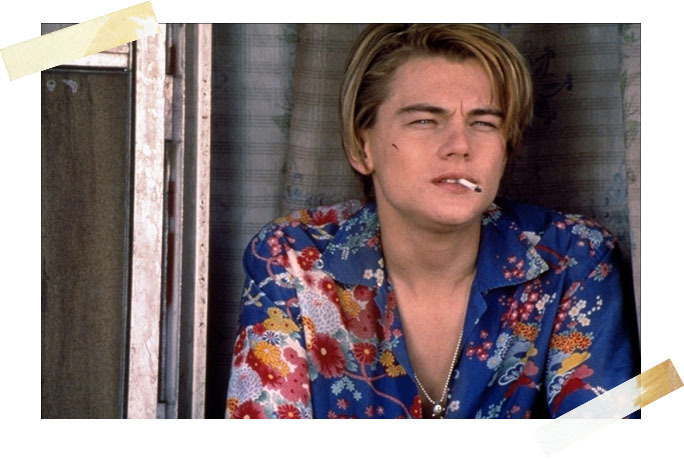 Whoever dictated the Hawaiin shirt as strictly a Summer style, must live in a land where autumn only dictates gloom and neutrality. We say… go ahead and express yourself this Fall with some bright blues, deep crimson, and mango-glow monkeys. You only live once after all, and you will only experience the Fall of 2017 once, so you might as well do it up right. If you thought a monkey on your back was considered always a bad thing – you were wrong. 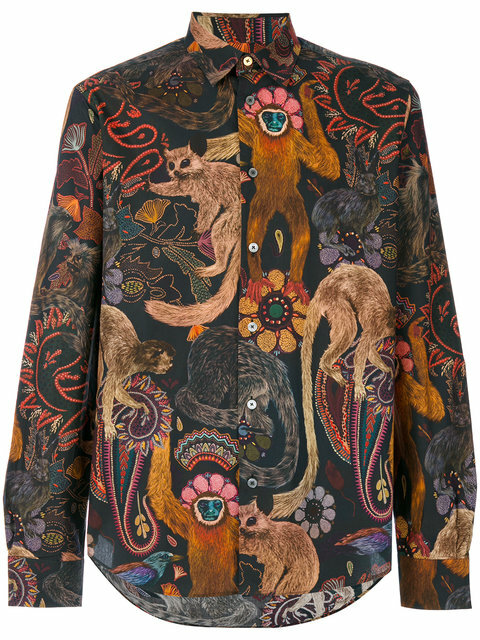 This Fall is all about putting one on your back (and front) and accessorizing the heck out of him with an abstract arsenal of bewildering tomfoolery by Paul Smith. And this masterpiece is appropriately titled “Monkey Print,” in case you hadn’t already figured that out. If you’ve seen one double rainbow, you’ve pretty much seen them all. 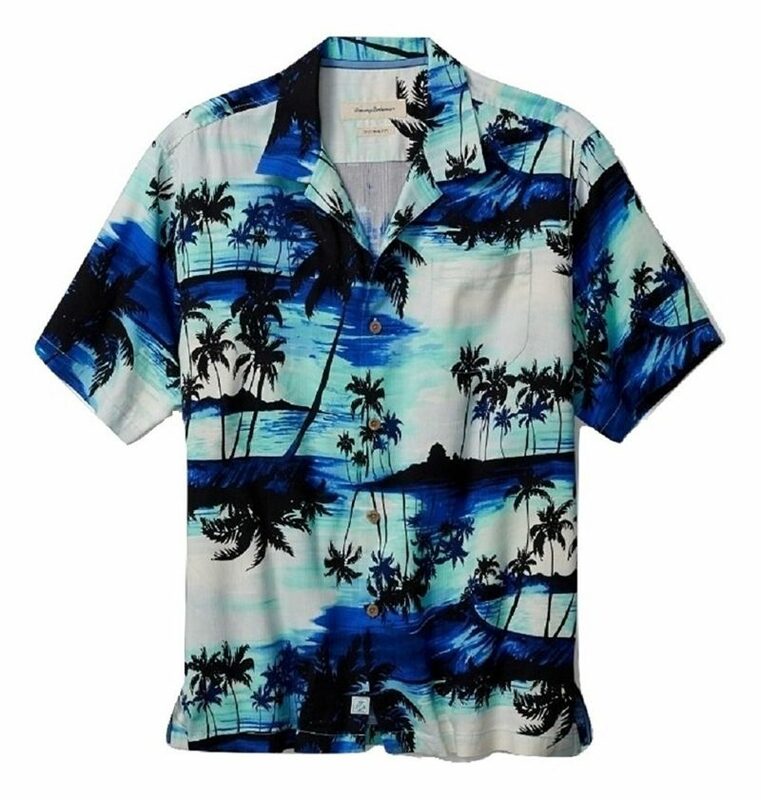 But that is not necessarily true of the brand, Double Rainbouu, who prints some of the most vintage-looking, signature vacation aloha shirts you’ll find in high fashion. This “Windy Print” features a relaxed cut and side-seam vents. Found at Barneys New York. 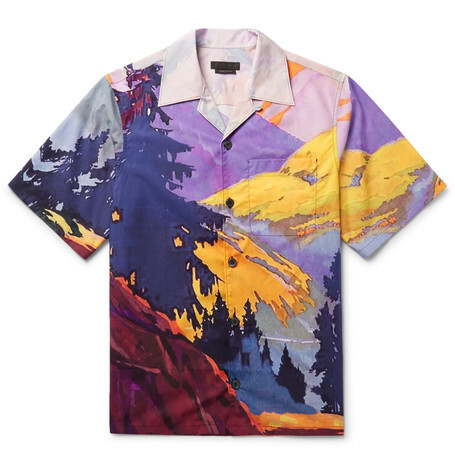 Wearing a Hawaiian shirt in the Fall may seem risky, but it is not if you stick to this painterly Prada shirt, which is more of a hat tip to the gallery than it is to the islands. But if you’ve got a keen eye, you’ll still see the deep tones of the sunlit summits and the silhouette of towering trees. Pay little attention to the dark-grey mother-of-pearl buttons and camp collar, as that is only the cherry on top of perfection. If you’re not able to hop on a seven-hour ride to the islands themselves, may we suggest a trip to Tommy Bahama as a worthy backup. This “Sunset Island” camp shirt features a straight hem (the way it should be), rounded pocket, and is 100% silk which the ladies will love.